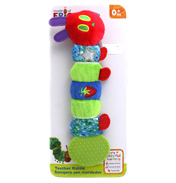 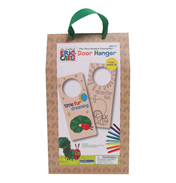 Help your babies teething trouble with this friendly, but Very Hungry Caterpillar Teether Rattle. This Teether Rattle looks just like the Very Hungry Caterpillar from the popular book by Eric Carle. 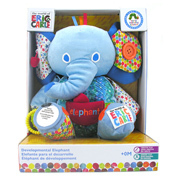 Safety Information: Suitable from birth, adults please remove all packaging before giving this toy to a child. Official Licensed Rainbow Designs Product. 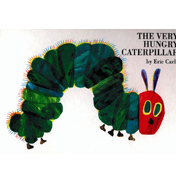 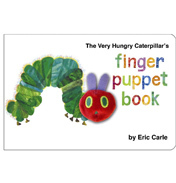 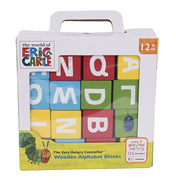 © 2008 Eric Carle LLC ERIC CARLE, THE VERY HUNGRY CATERPILLAR, THE WORLD OF ERIC CARLE logo, The caterpillar logo and related designs are trademarks and/or registered trademarks of Eric Carle LLC. 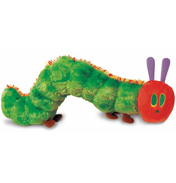 This critter has lots of bright colours and furry textures that your youngster will love! 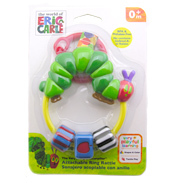 The tail features a plastic teether, which your child can chew on to help with their teething worries.